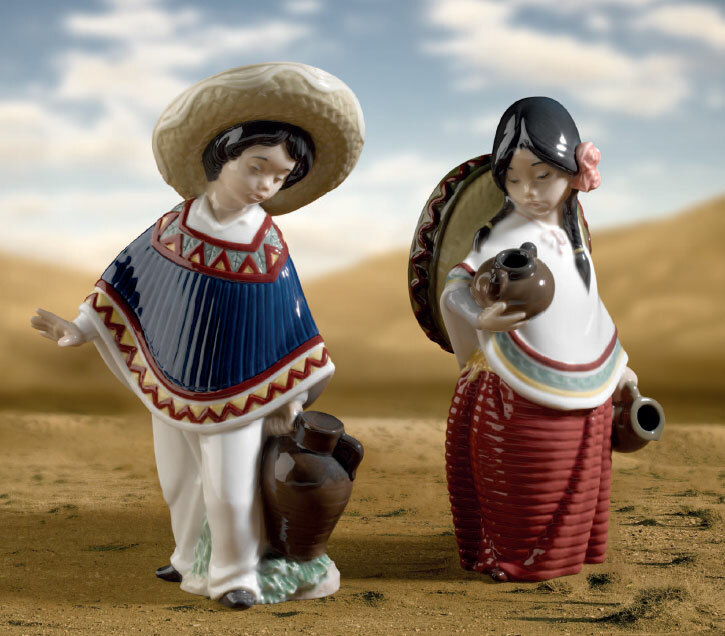 Your source for information about Lladro Porcelain, the best selling line of figurines in the world. Lladro 2013 Fall New Releases Are Announced! It appears that the summer doldrums are fading away because Lladro has announced the 2013 Fall New Releases and we are anxiously awaiting their arrival. Most of these fabulous sculptures will begin shipping out to stores in September with a few slow pokes showing up in early October. Once again Lladro has created a wonderful selection of new figurines that is sure to please even the most discerning of collectors. Over the next week we will be shining our spot light on a few of these that have caught our eye and garnered our attention. Check out the entire new Lladro collection here. The Guest by Lladro, An Unusual Collection To Say The Least! Trying to find information on a retired Lladro Figurine?